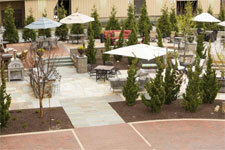 Lancaster County has a reputation for quality furniture, and that standard of excellence also applies to outdoor furniture. 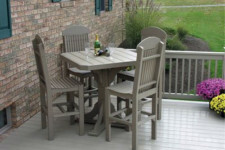 You will find a variety of quality outdoor furniture in Lancaster County, PA that’s made with solid construction and craftsmanship. 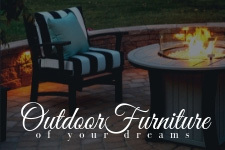 Local furniture manufacturers, Amish furniture makers, and others have produced a variety of outdoor furniture products to meet your every need. This outdoor furniture is weather-resistant, solid, and made to withstand years of abuse from the elements (rain, snow, wind, etc). It’s furniture you’ll be proud to own and display in your yard, patio, or deck and will hold its appearance for years to come! 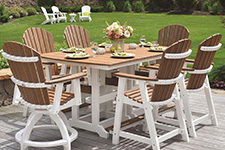 Also known as patio furniture or garden furniture, many of these stores sell Amish-made outdoor furniture, as well as poly furniture, deck/porch furniture, and lawn furniture in Lancaster, PA.
DutchCrafters offers the largest online selection of wood and poly lumber furniture to turn your outdoor space into a retreat or gathering spot. From patio sets to lounge chairs to outdoor bars and gazebos, make your backyard dreams a reality with outdoor furniture and décor from DutchCrafters. Visit website. 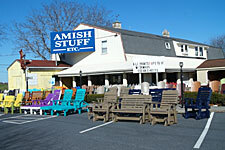 Amish handcrafted furniture and crafts. Visit website.